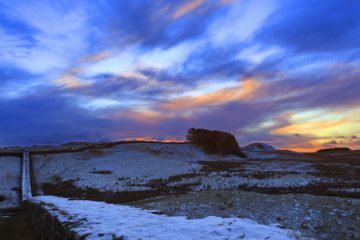 Kennel Crags on Hadrian's Wall in Northumberland on a cold winter day. 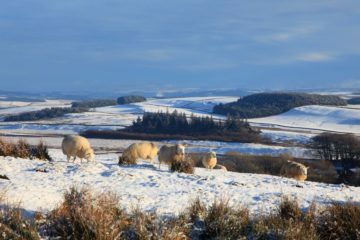 The agriculture of the higher more exposed middle section of the Roman Wall is confined to sheep and cattle. 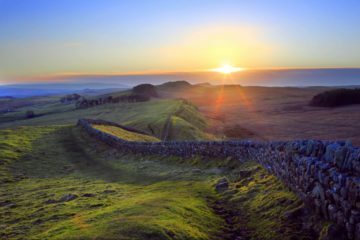 Kennel Crags on Hadrian's Wall in Northumberland on a bright autumn evening. This picture shows how the topography enhanced the barrier created by the Wall. 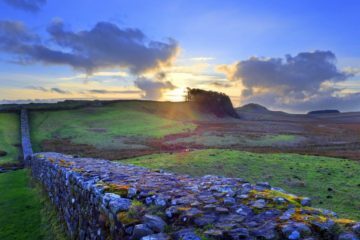 Kennel Crags on Hadrian's Wall in Northumberland on a bright autumn evening. This picture shows the undulations of the Whinsill Fault disappearing into the far distance. 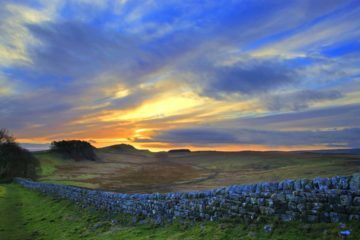 A cool and breezy autumn evening on Kennel Crags on Hadrian's Wall in Northumberland. 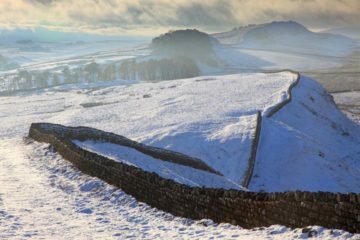 Here the Roman Wall has been replaced in time by a simple boundary wall. 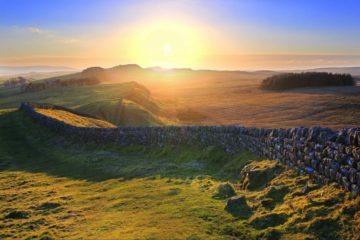 To the west are Housesteads, Cuddy's, Hotbank and Whinshield Crags. 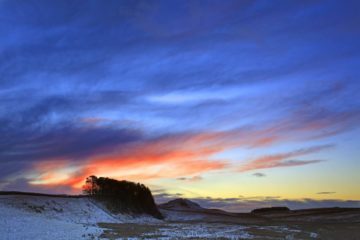 Looking west across Knag Burn Gateway on Hadrian's Wall in Northumberland to the last vestiges of a colourful sunset over Housesteads Crags at the end of an otherwise dreary winter day. 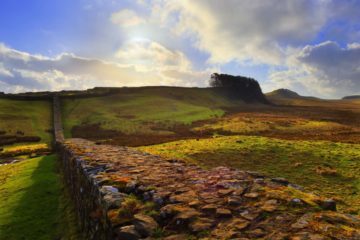 Knag Burn Gateway below Housesteads Roman Fort in Northumberland. 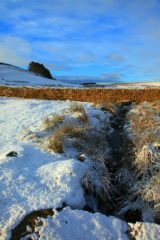 The burn flows under The Roman Wall and was the nearest source of water to The Fort. 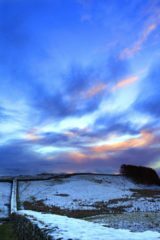 A beautiful winter morning at the granary at Housesteads Roman Fort on Hadrian's Wall after a light snowfall. 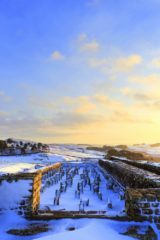 The snow highlights the pillars of the hypocaust - the under floor heating system.